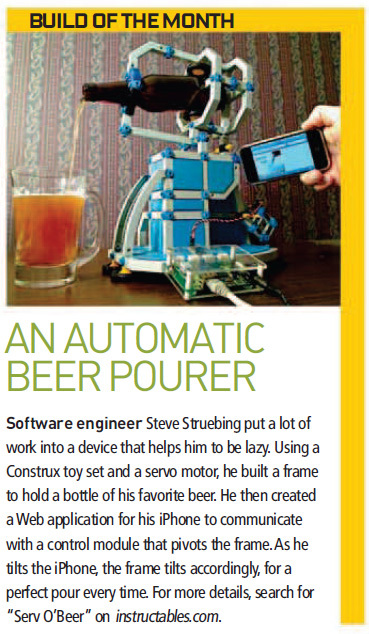 Serv O’Beer has found some interest online through being covered at Instructables, Engadget, Gizmodo, Make, and others. 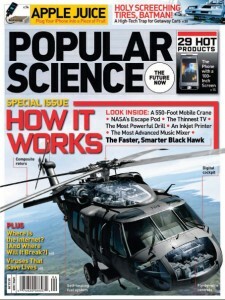 Of particular interest is its inclusion in the How 2.0 section of Popular Science April 2009 edition, and PopSci Online. Yeah, the 100,000 YouTube views are eyebrow-raising as well. We really appreciate all of the comments and suggestions, and those who laughed along with us at the “usefulness” of a machine that can pour us a REAL beer using an iPhone. You can see that the v 2.0 Serv O’Beer has been plated for ridigity, and some additional braces added to provide for a more smooth pour. Also a high torque servo has been added to allow it to serve as a brake, rather than just a pushing arm, and then a brake (hence the high volume of head in the beer). Again, thanks to everyone who has laughed, sat confused, rolled your eyes, or said “Dude, that is sweet. You need a better outlet for your spare time”. Mostly, the latter. Just a closing note: The servo and the ioBridge do the work, I just get to use my Construx for something again, and drink 3-4 beers trying to calibrate this sucker. Sounds like a win-win to me. 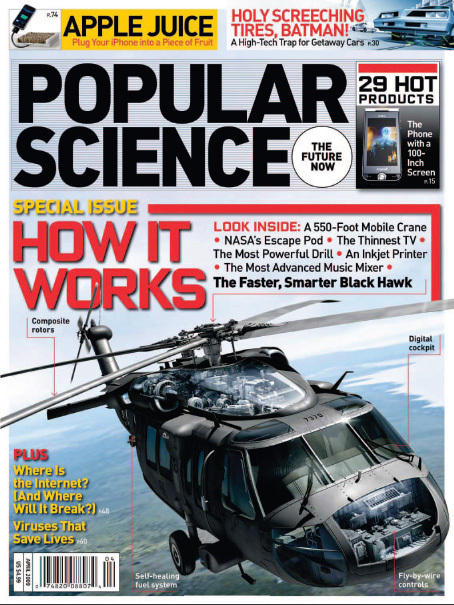 Check out the article in the April Issue of Popular Science. Thanks again, everyone. I’ll pour one for you!